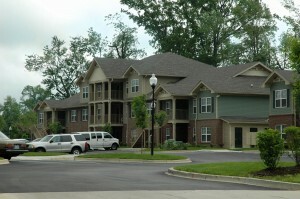 Multifamily Financing and Apartment Loans are similar loan products. 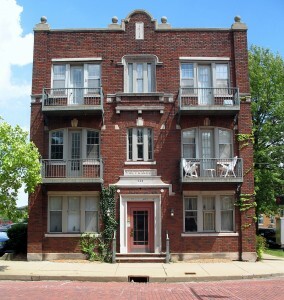 The main difference between Multifamily Financing and Apartment Loans is the loan size and the asset classification. To obtain Multifamily Financing and Apartment Loans with high LTV (loan to value) ratios, an investor must simply understand how the loans work prior to making offers on properties. For investors seeking high leverage on multifamily financing they must understand that high leverage only comes in the form of structured financing. Total project financing needs must exceed $5 million and really, to get very high leverage they must have a total multifamily financing need of $10 million or more. Multifamily financing of this nature usually includes multifamily developments containing hundreds of doors and can even include multifamily portfolios consisting thousands of doors. Apartment loans are somewhat simpler loans. The majority of apartment loans are made on apartment buildings or small apartment complexes containing less than 200 units. Apartment loans, unlike multifamily financing, are more difficult with regard to obtaining high leverage. Typical LTV ratios of up to 85% can be obtained through the negotiation of a seller held 10% second. The borrower then only has to bring 15% for down payment in these types of loans. Regardless of the type of loan, apartment loan rates for stabilized properties should be in the high 3% to mid 4% range. The only real difference being for much smaller loans (anything under $2 million) for apartment loans. Rates tend to climb on the smaller loans and investors can expect to see rates as high as the high 6’s for C or D type properties. The bottom line for multifamily financing and apartment loans alike is this simple fact. If the investor has cash, a track record and makes an aggressive offer, then financing for large multifamily portfolios or small apartment buildings should be easy to obtain in today’s lending market. For more information contact Michael Gross, President, Dividend America, LLC by emailing your questions or scenario to moc.a1555802868cirem1555802868adned1555802868ivid@1555802868ssorg1555802868m1555802868 or call 404-549-6756. Lending in all 50 states and focusing on Multifamily Financing and Aapartment Loans in the markets and submarkets listed in the S&P Case Shiller Home Price Index and the surrounding secondary markets to those cities. We look for opportunities in: Boston, Chicago, Denver, Las Vegas, Los Angeles, Miami, Fort Lauderdale, Orlando, San Diego, New York, San Francisco, Phoenix, Atlanta, Tampa Bay, Detroit, Minneapolis-Saint Paul, Charlotte, Dallas / Fort Worth, Portland, Seattle, Cleveland, Oklahoma City, Jacksonville, Indianapolis, Nashville, Kansas City, Louisville, Milwaukee, New Orleans, Philadelphia, Raleigh, Sacramento, Salt Lake City, San Antonio, San Jose, Saint Louis, Tucson, Austin, Baltimore.